Home » Posts » Attentionology for K-5 Teachers » Reach to Teach with the 2018 Olympic Games! Welcome to a World of Learning that the 2018 Winter Olympic Games offer. The 2018 Winter Olympic Games are a cold, snowy sight to see in PyeongChang, South Korea! 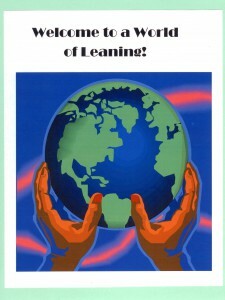 The Olympics welcome everyone to a world of learning. Reach to teach during the games with strategies that help children improve skills and expand their understanding of our global community. Ring Around the World – Show that the five Olympic rings stand for the five continents of Africa, the Americas, Asia, Europe and Oceana, all participating in the games. Explain that the colors of the rings – blue, yellow, black, green, red, on a white field, represent the flags of countries with athletes at the games. Every country’s flag includes at least one of the Olympic ring colors. Meet the Protector – Write a Story – Introduce Soohorang, this year’s Olympic Mascot. Show a picture of Soohorang to your class. Tell students that Soohorang has an important job at the games, and that his name reveals what that is. See if anyone can guess before you explain that the name is made up of two words in the Korean language. The two words are Sooho, which means protection and the ending of horang-i, rang, which is the Korean word for tiger. 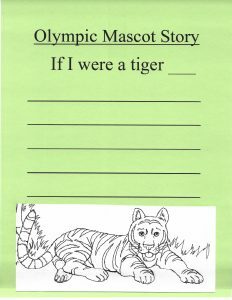 At writing time, distribute If I Were a Tiger story starter sheets, similar to mine, with a tiger illustration for children to complete. 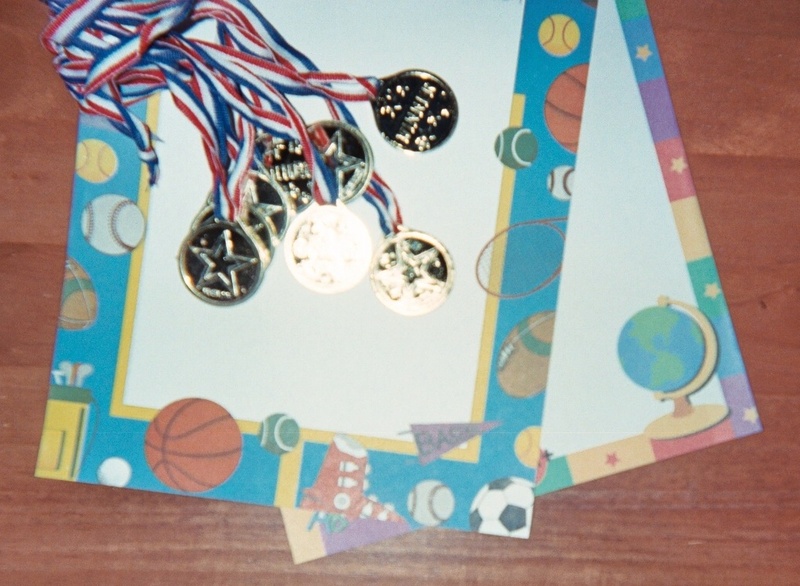 Reach to teach with the Olympic Games as a celebration. Tie your country’s flag colors to pretend gold medals to give as Olympic Party favors. PARTY FAVORS: Tie ribbons the color of your country’s flag to pretend gold medals. Set the favors on your Olympic Games party table. 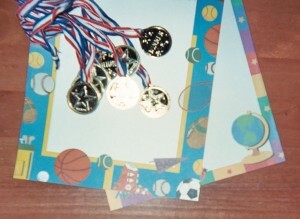 Hold a drawing for lucky students to win one of the medal favors. Distribute copies to the class of coloring sheets that feature medals, so that everyone gets a party favor. PARTY PLAN: Plan a short party program that plays into your current curriculum. 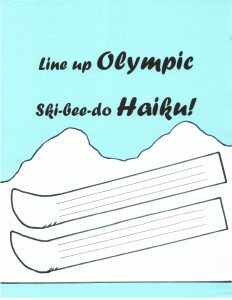 Challenge kids to write Haiku poems in three lines inside the shapes of skis. Read a short sports story or poem. 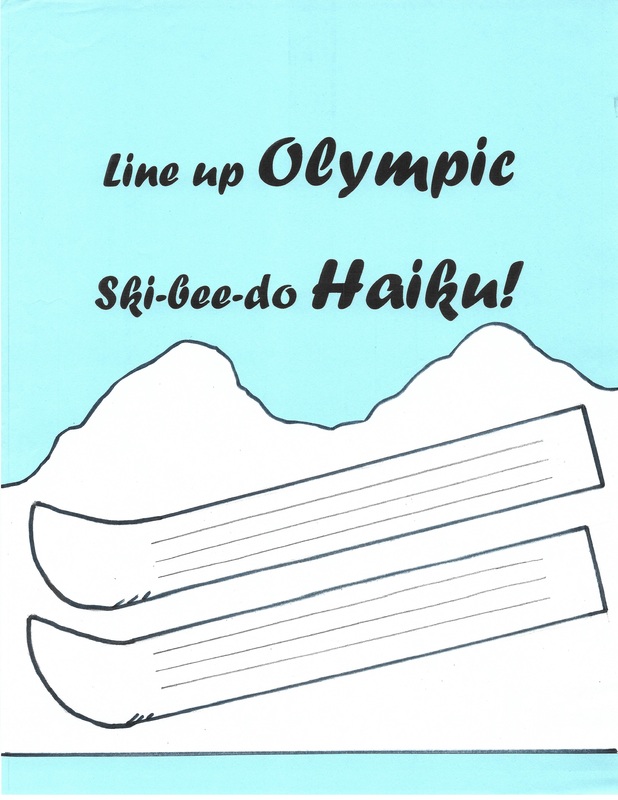 Challenge students to write Olympic Ski-bee-do Haiku poems inside the shapes of skis, using my illustration as a guide. Who says teachers can’t mix up cultures…Japanese poetry, South Korean Olympic Games, and English language traditions! Following the English language tradition based on Haiku’s ancient Japanese origins, a poet composes the first and third lines of each Haiku with just five syllables. The poet writes the second line with seven syllables. 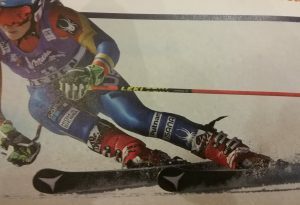 Instruct students to choose a focus for their poems that connects with winter games. Hang up posters in your classroom that feature winter sports played at the Olympic games. PARTY DECORATIONS: Before you begin your Olympic party, hang up posters that feature winter sports on a wall behind your party table . Look for photos of athletes at this year’s PyeongChang games and of popular sports stars from your country. The Olympic Games offer teachers around the globe awesome teaching moments. 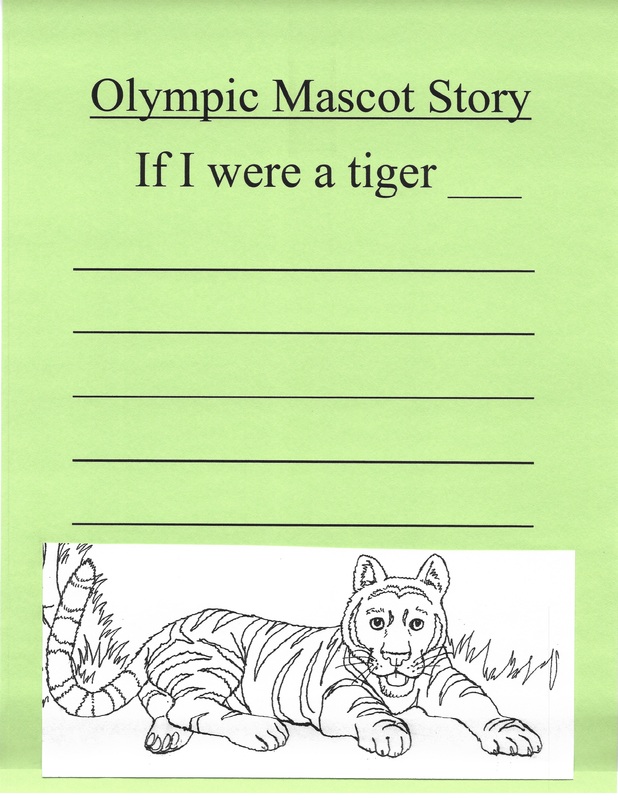 Please send comments about how you use the Olympics to help children learn. ‹ Help Kids Make Valentine Cupcake and Cookie Poems!